When you update draperies—it’s vital that the new fabric compliment the existing textiles in your space. In the board above Stephanie utilized the original fabric from a client’s home to select complimentary 1960’s inspired fabrics. She wanted to make sure the integrity of the original design was present by picking textiles with similar tones and graphic prints. 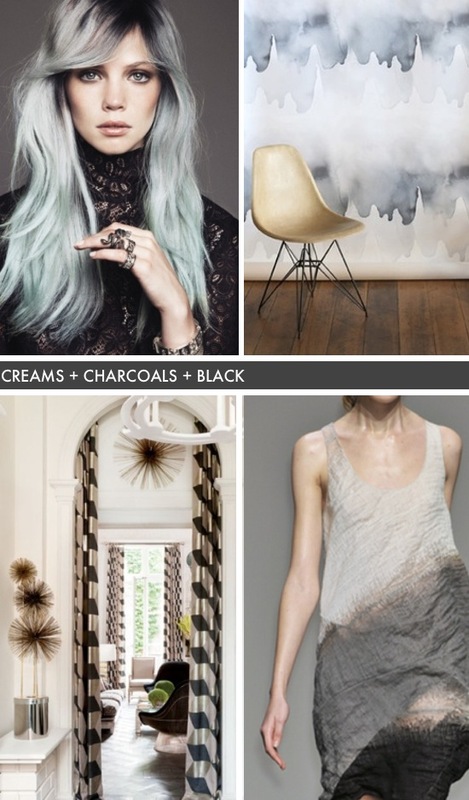 Often we focus on the bright side of the color wheel, leaving the neutral tones in the dark. But there’s beauty in the blend of these shades. 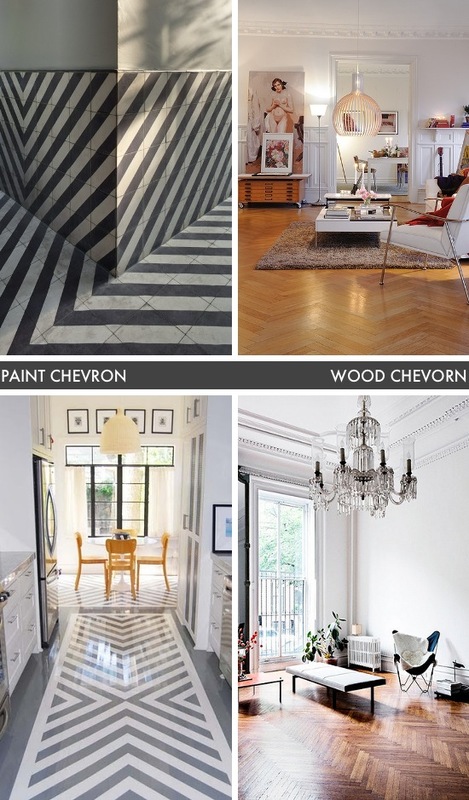 They can make a room feel carefree or contrast each other to deliver a graphic effect. In today’s inspiration post we’ve collected some of our favorite bird-inspired images. 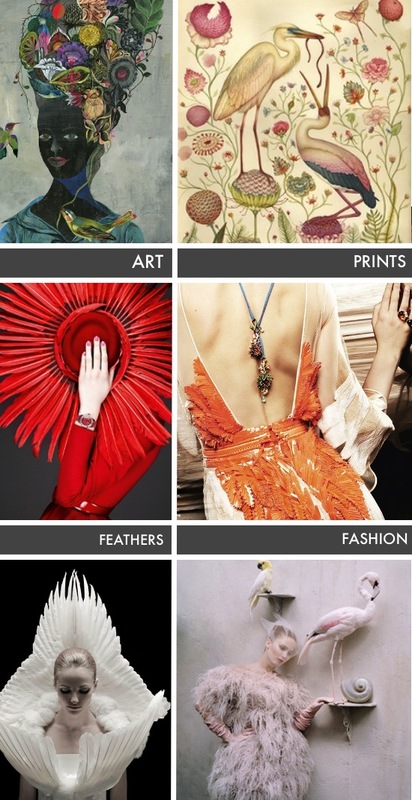 Birds have graced runways, wall prints, and have been brought to life by painter’s hands. Such fly style can be added into every aspect of your life. 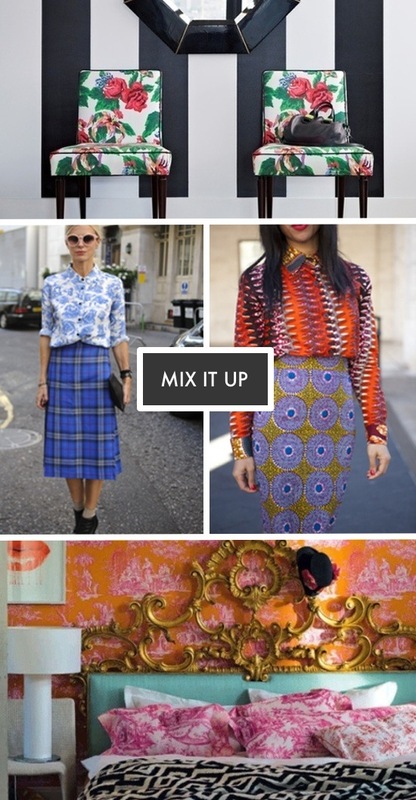 Mixing prints can be an intimidating task to any styling novice. So we asked the owner of cush cush design, Stephanie for a tip to keep in mind when playing with patterns. She said, “try mixing organic prints with graphic prints.” These two don’t compete and often make a stellar couple. The moodboard above gives examples of this tip!